New American Muslim Women PAC aims to prove members are not silent. 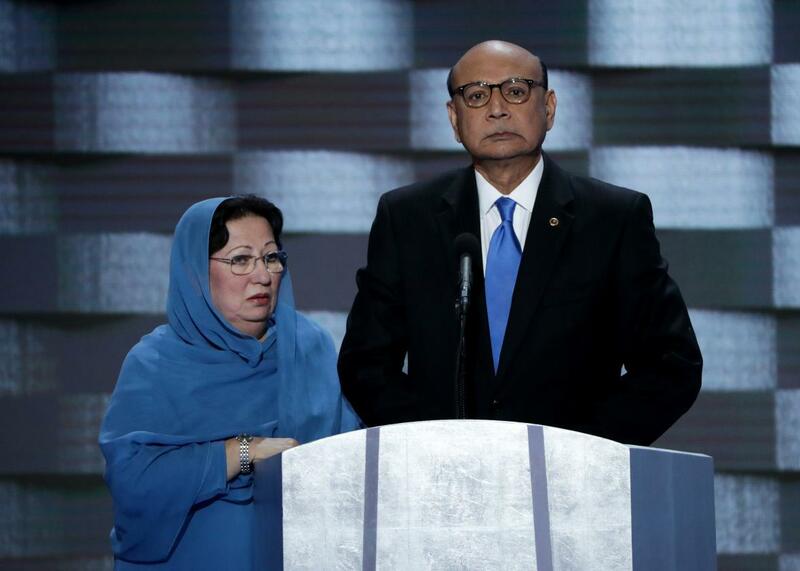 Ghazala and Khizr Khan, parents of deceased U.S. Army Capt. Humayun S. M. Khan, at the Democratic National Convention on July 28, 2016. Miriam Seddiq, a criminal defense and immigration attorney and Muslim woman, recently launched the first American Muslim Women political action committee tasked with urging Muslims to vote in the presidential election. The PAC, which counts Gold Star mother Ghazala Khan among its membership, formally endorsed Democratic nominee Hillary Clinton last Tuesday. “She took a hit for all of us, and that was part of what led me to decide I wanted to help other women speak out,” Seddiq said in an interview with the Atlantic. According to its website, AMW PAC aims to give Muslim woman a platform to voice their own grievances and political views and to “dispel that myth” that Islam forces women to be silent. Seddiq told the Atlantic that the organization aims to raise money to run anti-Trump ads and to host a voter-registration drive. The PAC joins a growing culture of Muslim activism, in part prompted by the Republican nominee’s anti-Muslim rhetoric throughout his candidacy. After Trump’s comments against Mrs. Khan, female Muslim activists took to Twitter under the hashtag #CanYouHearUsNow. And during the second presidential debate, after Trump told Muslims that they should report suspected terrorist activities, activists mocked the nominee on Twitter with the hashtag #MuslimsReportStuff. Trump had previously accused Muslims of not reporting terrorists after the Orlando nightclub shooting. During an election season that has seen the racist alt-right movement break through to the mainstream, it’s heartening to hear a chorus of marginalized voices rising as well.